The liver is the largest solid organ in the body. The liver is one of the most important organs, serving as the body’s most comprehensive chemical factory and refinery. It performs more than 500 chemical jobs, including fighting off infection, neutralizing toxins, manufacturing proteins and hormones, controlling blood sugar and helping to clot the blood. Day 1: Juice of 5 lemons with 1/3 cup olive oil. Day 2: Juice of 10 lemons with 1/3 cup olive oil. A few days before cleansing, apple juice or grapefruit juice can be taken to help soften and cleanse the liver. Take this liver cleanse at night, right before going bed. Your liver is now cleansed; to maintain, Apply God’s Plan to your life( Godly Trust, Open Air, Daily Exercise, Sunlight, Proper Rest, Lots of Water, Abstemiousness and Nutrition.) Learn More. 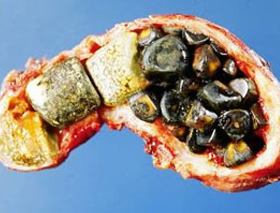 A Colon cleanse is recommended after this cleanse, to ensure all stones are removed from colon.